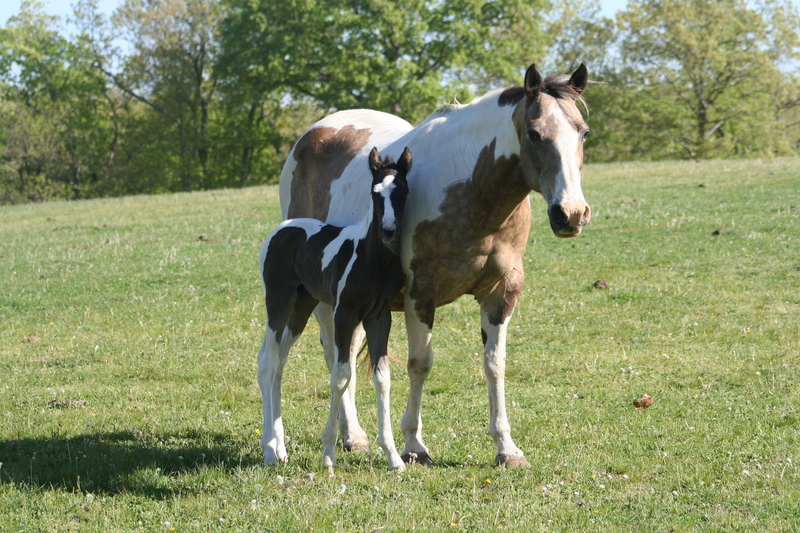 Zippo Doc Callie and her 2014 stud colt. This Tobiano stud colt was born May 4, 2014. 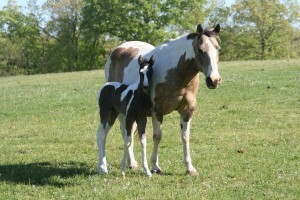 He was sired by the black and white tovero stallion NTA Gimini Cricket and out of the dun and white Zippo Doc Callie. 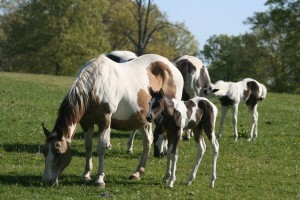 Available at weaning.